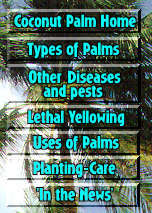 Click here for how to climb coconut palms'. 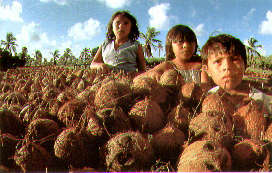 the meat can be rendered to make a very fine oil that can provide lighting at night or cooking oil or as a skin lotion. 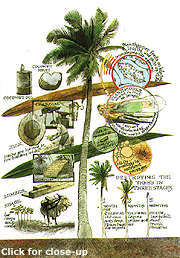 So: if you ever get stranded on a deserted island hope that it is one that has lots of coconut trees!